Clubs actively working with BWL to develop their club’s coaching standards, governance, safeguarding and sustainability, to ensure a safe and supportive training environment for athletes and deliver a high quality of coaching, aligned to BWL’s long term athlete development (LTAD) strategy. The Regional talent program is a lifters first introduction to working with the BWL Talent Pathway coaching team. Athletes will be guided through a progressive syllabus of learning which is intended to increase their understanding of what it takes to succeed in the sport and reinforce some of the skills needed to help them develop towards their goals. It is designed for lifters who have made a commitment to their training and competition and are looking to understand their long-term development in weightlifting as a sport. How do I get selected for a regional squad? Compete in the Regional Youth Series competitions and introduce yourself to The Talent Pathway coaching team who runs the events. Compete in the England Age-Group Championships, squads are selected annually from observation of athletes at the regional youth series and England Age-groups. Athletes must be between 13-17 on December 31 at the start of each year. Athletes must have competed in a minimum of 2 BWL licensed competitions. Which region should I be a part of? Regions are selected based on our knowledge of the number and density of lifters in an area. 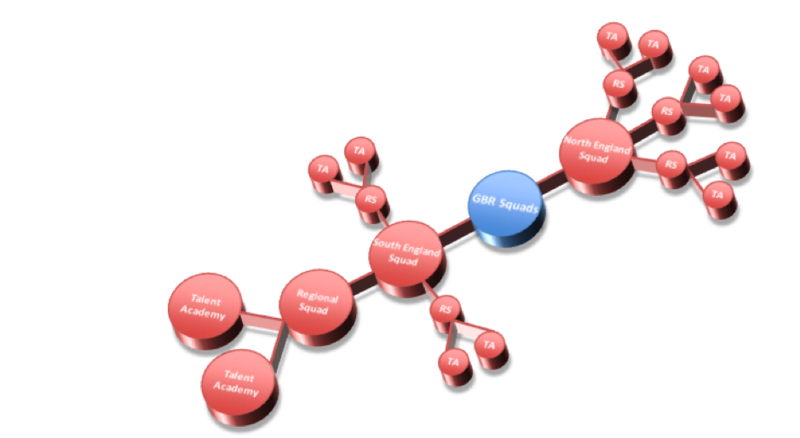 Where possible we also aim to select squad locations which have maximum of a 1-hour travel radius for squad participants. The regional program is evolving and as we discover and identify new hot spots, we look carefully at how is best to support lifters, coaches and prospective talent academies in those areas. If you feel like there is a lack of BWL presence in your region and a high density of emerging young lifters or clubs please contact stuart.martin@britishweightlifting.org and make yourself known to us. The regional talent program is designed for athletes who demonstrate abilities aligned to potential future international performance. The purpose of these squads is to bring together high performing national and international standard athletes to bond as a team and drive each other towards higher standards of competition both nationally and internationally. 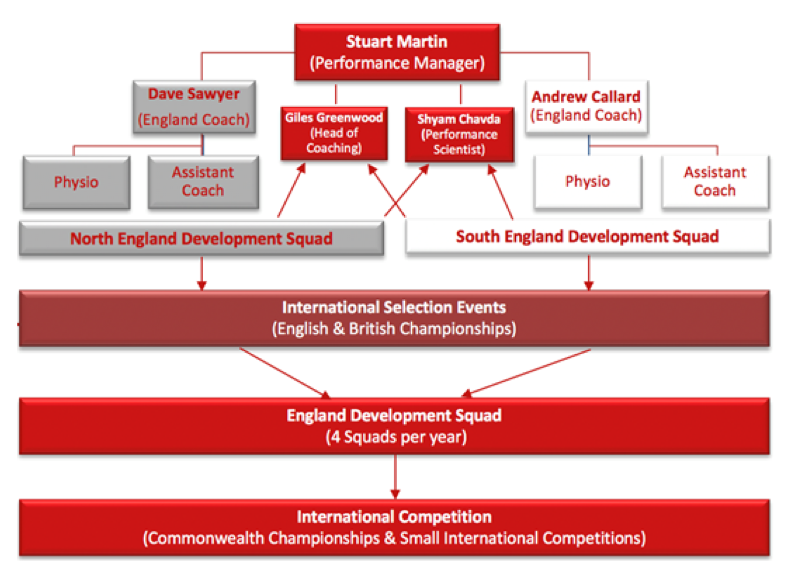 It is an athletes first exposure to our international coaching team and where appropriate standards have been achieved opportunities are available to gain international competition experience. How do I get selected for the England Talent Squad? 1.Compete in Regional Youth Series competitions and introduce yourself to The Talent Pathway coaching team who nominate athletes for the England squad. 1.Athletes must be between 13-17 on December 31 at the start of each year. 3.Athletes must be ranked top 3 in their weight category in Britain. 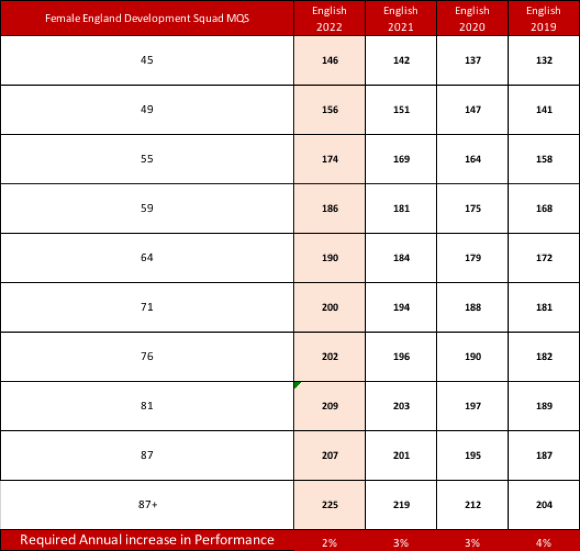 The England Talent Development program is designed for athletes who demonstrate abilities aligned to potential future medal zone performances at Birmingham 2022. The purpose of these squads is to bring together high performing national and international standard athletes to bond as a team and drive each other towards higher standards of competition both nationally and internationally. Athletes also have access to the BWL Loughborough High Peformance Centre and are encouraged to engage with the Head of Coaching and Performance Scientist to support thier development. Where the appropiate minimum standards have been achieved, self- funded opportunities are available to gain international competition experience. 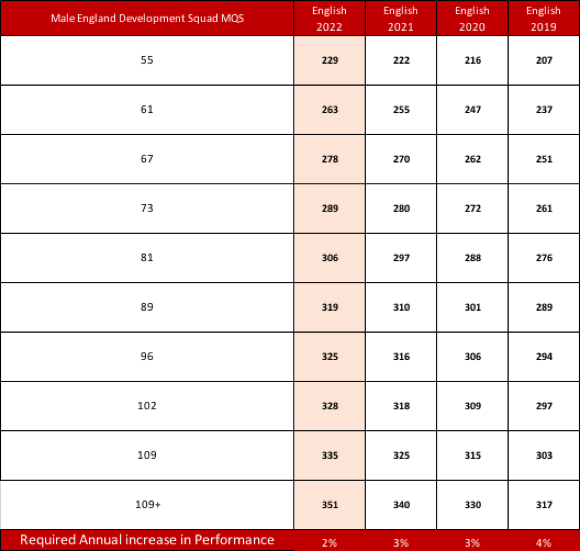 How do I get selected for the England Development Squad? Athletes must compete at the British and England Senior Championships (unless these competitions conflict with priority international competitions).